The success of an endeavour hinges on the ability to communicate effectively in today's fast paced life, everyone is asked to do more with less. In such a scenario effective communication holds the key. 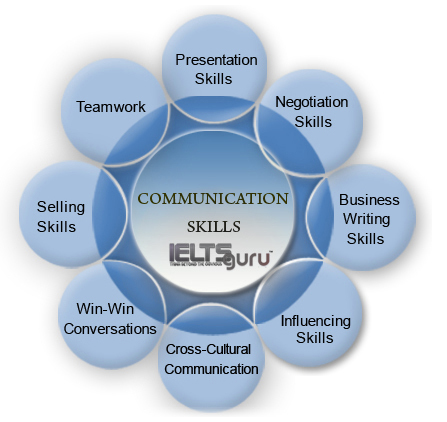 Effective communication centers round the usage of words, speed of delivery of words, pitch modulation and body language. Using the right tools to communicate the right messages at the right time can salvage a crises and motivate people to work towards success. Truly said, communication works but for those who work at it. In the existing globalization scenario, most of the Information Technology, I.T Enabled Services, management institutes, public and private sector, multi-national Companies, Union Public Service Commission, and State Public Service Commission are search for a right and suitable fresher for executive posts. Whatever be the recruiting criteria that I.T, ITES, industry giants had in their agenda, once this was clear a first class degree would not serve the purpose, the candidate have to satisfy the skill sets that the companies were looking for, And unanimously, the skills set that they were looking for communication skills. Our communication skills course is specially designed to meet the candidates requirements and to help them become successful communicators. Our Counsellors will get back to you as early as possible. © Copyright 2019 All Rights Reserved by IELTSguru.